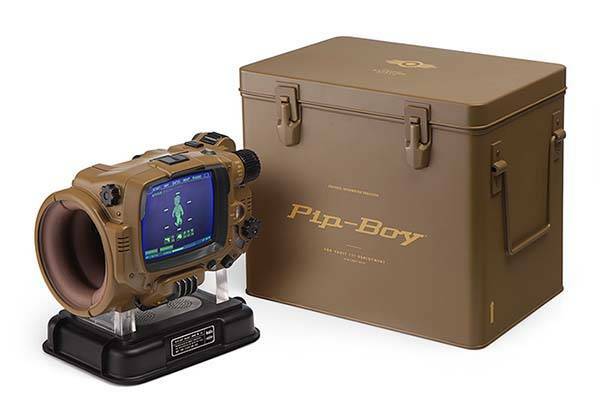 There is no indication that mankind will enter in a post-apocalyptic era in near future, but we can prepare something for unpredictable future such as the Bluetooth-enabled Pip-Boy replica from Fallout 4. This is an officially licensed and pretty cool wearable themed by Fallout 4. As we can see from the images, the wearable is shaped as a Pip-Boy, one of the most iconic items in the universe of Fallout video game series, and it features accurate contour and meticulous detailing from its original look. The Pip-Boy measures 7 x 5 to 7 inches (exterior). Its interior measures 7-1/4 inches diameter at smallest point, so the Pip-Boy fits most human arms, and it weights 2 lbs. As a high-tech gadget, the Pip-Boy uses Bluetooth to wirelessly communicate with your smartphone or tablet, so it receives SMS messages, incoming calls and shows them by its integrated screen. Of course, all info will be displayed in the form of Pip-Boy interface. Furthermore, its cosplay mode displays status, special, and perk screens just like a workable Pip-Boy in Fallout 4, and it acts as an alarm clock to wake you up in the morning. There is a holotape stored in its top compartment, which works as a USB drive. 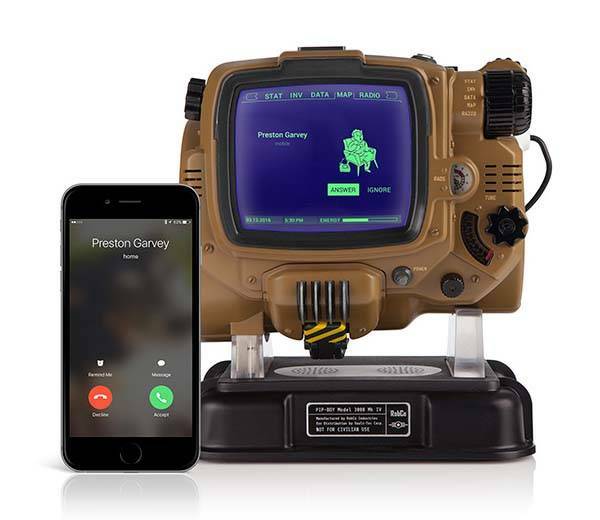 Apart from these, the replica comes with a display stand, and there are stereo speakers in both Pip-Boy and stand, which allow you to stream music from your Bluetooth-enabled mobile device just like a Bluetooth speaker. 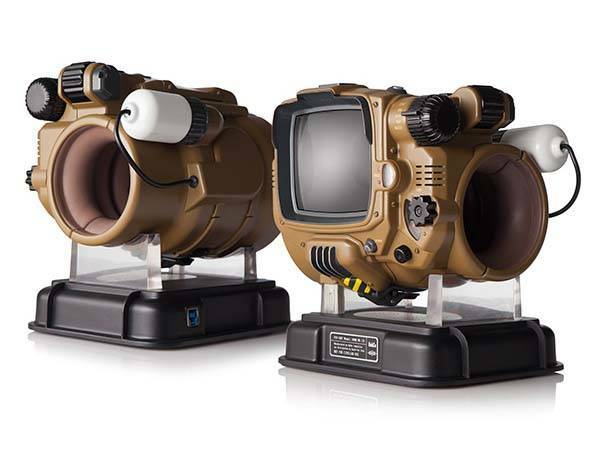 The Fallout 4 Pip-Boy replica is priced at $349.99 USD. If you’re interested, jump to ThinkGeek for its more details. BTW, also don’t miss the Fallout 4 Vault-Tec flask and other more cool gadgets from the world of Fallout by following tags.